ChunSoft and Nintendo are pretty familiar with the sister-game concept. 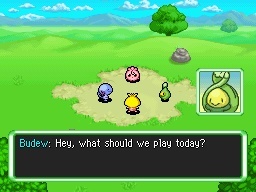 Just as Pokemon Platinum is a sister game to Diamond/Pearl, so too is Pokemon Mystery Dungeon: Explorers of Sky a sister game to Explorers of Time/Darkness. However, where the former took many measures to create a worthwhile playthrough experience even for those who had already played Diamond/Pearl, Explorers of Sky unfortunately fails to present the same desirability. For those who have played any of the four previously released Mystery Dungeon titles (Red/Blue Rescue Team or the sequels Explorers of Time/Darkness), you'll be right at home in this dungeon crawler, as everything from the previous titles as been left intact. You're still a human who has been transformed into a Pokemon through unknown means, you still have amnesia, and you are still assigned your playable Pokemon at random (in theory) through a series of personality questions. This time around, after being assigned your character, you now have a larger list to choose from for your partner Pokemon, as four new options have been added: Phanpy, Vulpix, Riolu, and Shinx. As with all Pokemon titles, each character's elemental affiliation is important, so choosing a Pokemon that compliments rather than duplicates your own type would be best (that is, you wouldn't want to pick Shinx if your playable character is Pikachu as both specialize in electric attacks). 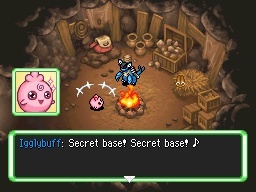 After the opening cinematics, you are once again thrown into the world of Wigglytuff's Guild, which houses various Exploration Teams, and are tasked with completing a multitude of missions off of the job board that send you into themed dungeons in search of lost Pokemon, items, and so on. 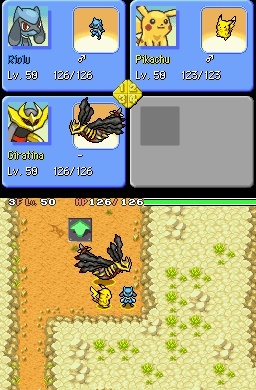 For those who are new to the franchise, Explorers of Sky has virtually the exact same story as Time/Darkness (with the exception of a handful of new missions that explore the back stories of some of the NPCs), which revolves around stolen time gears, with time literally stopping in each area without one. What starts as a story surrounding your partner's growth as a strong and brave Pokemon eventually turns into a quest to find the culprit and set things right, along with discovering why and how you became a Pokemon in the first place. 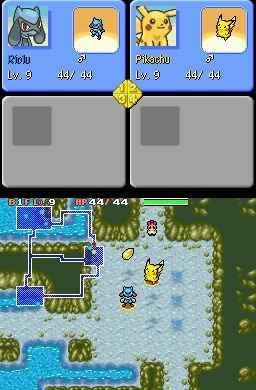 While the gameplay here has never been considered groundbreaking, this is the third (technically fifth) Pokemon title that sees you entering randomly generated dungeons, defeating enemies and collecting loot and money. The gameplay was already repetitive in the first two titles, and the fact that you're completing the same sets of missions as before doesn't help matters. At least in the other entries in the series, you had a new and interesting story to keep you coming back for more. In terms of loot, you still have an incredibly small backpack when compared to the vast amount of items available on each floor, which is annoying to say the least, as the complaint has been around since the first game. One thing that has been addressed is the issue of monetary losses should you die in a dungeon, as you now only lose half of your on-hand funds, as opposed to all of it, which was the case previously. 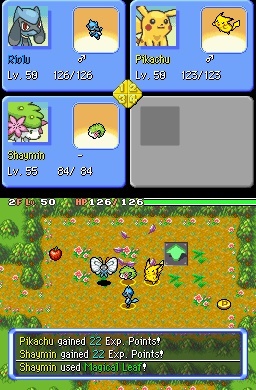 I must say that I've never been one to support the idea that all ChunSoft and Nintendo set out to do is slap a new coat of paint on a pre-existing model as, by and large, each new installment in the Pokemon franchise, even here in the preexisting Mystery Dungeon line, has been a vast improvement over the last. Even with something like Pokemon Platinum, the changes that were made held some real ramifications for the storyline, graphics, and how one went about completing their Pokedex. Here, the changes are minor and for the most part entirely inconsequential. While the additional partner choices are appreciated, as are the few new story missions, the rest of the tweaks (a new item exchange system, some new items in dungeons, and a new store in town) were unnecessary and seem to have been thrown in as an afterthought. Even the new missions can only be accessed after spending hours going through a copy-and-paste version of the story from Explorers of Time/Darkness, so if you thought the storyline was lengthy and convoluted before, you'll find it even more so now that you're forced to play through it again just to reach the new bits. Technically, you'd never know which game you were playing unless someone told you beforehand, as the graphics and sound effects are the same. This is one area where the lack of change is actually acceptable, as the graphics and soundtrack did a fine job in previous titles, with their bright and upbeat nature. 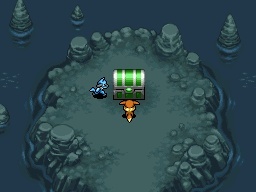 All in all, it would be wrong to call Pokemon Mystery Dungeon: Explorers of Sky anything other than disappointing. The gameplay in the franchise's previous entries worked because the stories holding them together were fresh and interesting. In this case, the situation has been reversed. If you completed Explorers of Time or Darkness, you know the story already and are left with nothing but the gameplay to keep you going, and unfortunately, it's simply far too out-of-date to make it worthwhile. That being said, it should be noted that there is nothing particularly wrong with the title, if you have never played a single entry in the franchise before, but if you are someone who already has, there's no reason for me to recommend it. Special thanks to Allison Guillen and Nintendo for providing a copy of this title.